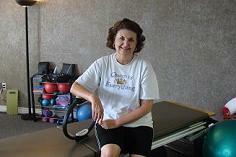 Pilates For Life Long Fitness! 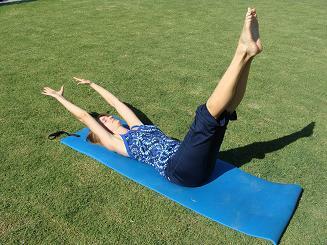 Pilates exercises help to strengthen and tone muscle and bone by using your own body weight. Anytime you add muscle to your body you stimulate your metabolism, which, in turn helps to decrease your body fat by burning calories and fat. Pilates for life uses stretching flowing movements to help keep your muscles supple and flexible. A flexible muscle is a healthy muscle making it better able to handle stressors that cause injury. With increases in your flexibility you can do some of your favorite activities like golfing, playing tennis, bowling, or playing with your kids without the risk of hurting yourself. The bending and twisting actions of most sports causes much stress on the muscles and joints, but doing Pilates can help to correct these length tension imbalances allowing you to do things you enjoy with ease again. Pilates is one of few conditioning exercise sequences that I have found to be energizing now matter what your age or condition of health. How can it be? Well, the best explanation is the stretching and articulating movements of the spine help to move the cerebral spinal fluid up and down the spine increasing the blood flow to the brain while stretching the body at the same time. The flowing sequence of movements controlled by your breathing is another way to increase energy by getting rid of bad air and taking in more oxygen. Most of us are oxygen starved and by just breathing more deeply can help stimulate our bodies response system. This energy carries throughout your day, so try it early on in the day. Pilates for life exercises help us to stand taller and more confidently. 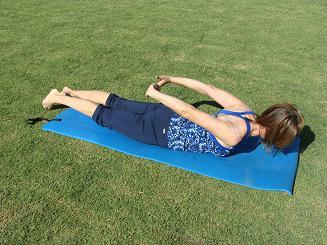 Pilates moves actually help to realign the spine and major joints of the body through the corrective exercise sequence. This conscious movement practice helps to correct imbalances in the body that cause bad posture and tension. The pulling actions, as well as the core strengthening movements help to regain posture even in the most stooped people. By improving your posture you will, in turn regain better balance. Balance comes from the core or center of our body and we strengthen this area we can begin to bring ourselves back into a more balanced, upright, stance. The mind over body focus in Pilates helps to sharpen our minds by being always conscious of how we are moving. Concentration in Pilates is key in mobilizing yourself to perform the movements with ease and grace. Without a conscious mind effort the body will reap no rewards. The age of our body is in direct proportion to the age of our spines. If our spinal health is not well and we are stooped and weak in the core then we will look much older than we actually are. With Pilates for life you will realign and correct the spinal imbalances by strengthening the core muscles that support the spine. In turn you will stand taller, look trimmer, and be happy! This all relates to a young person. My favorite! When I get up and do Pilates in the morning it helps release cortisol, a stress hormone that builds up in our bodies over night. The benefits of Pilates exercise to release some of this hormone, which if done early in the day helps us to concentrate better at work and then later we are tired and ready for bed at night. Pilates is especially beneficial for this because it does not weigh down your muscles and cause you soreness later. It stretches and strengthens them helping you sleep better at night. 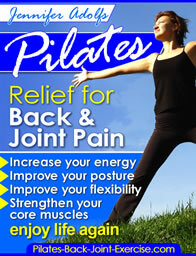 Check out my Pilates for Life DVD for Healthy Back and Joints. Pilates movements are low stress on the back and joints making it a perfect exercise system for overweight, arthritic, and the aging population. Most of the exercises can be done in a lying or sitting position taking stress off the back and joints. Due to the stretching and pulling actions of the exercises while stabilizing the major joints of the body we can more effectively strengthen the muscles that support these joints. 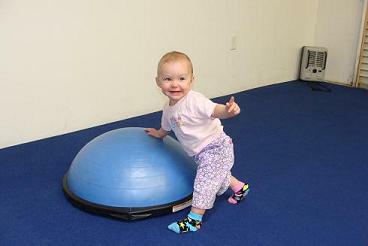 Pilates for life is playful and fun. The equipment reminds people of playground equipment as a child. The benefits of Pilates teaches us all over again how to pull, stretch, roll, push, climb, and breathe like we did as a child.